John has more than 40 years of experience in tax and financial management and planning. Prior to joining Quantum Advisors 15 years ago, he was the CFO of a multi-national manufacturing company operating in seven countries. His current focus is in the highly specialized area of retirement planning for school and government employees. 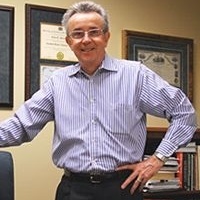 His vast experience and knowledge makes him uniquely able to advise on a wide range of financial issues including the intricacies of the STRS and PERS retirement plans, college funding, long term care and life insurance planning, etc. United States Military Academy at West Point - BS with emphasis in Engineering Sciences. University of Utah - MBA with emphasis in Finance.